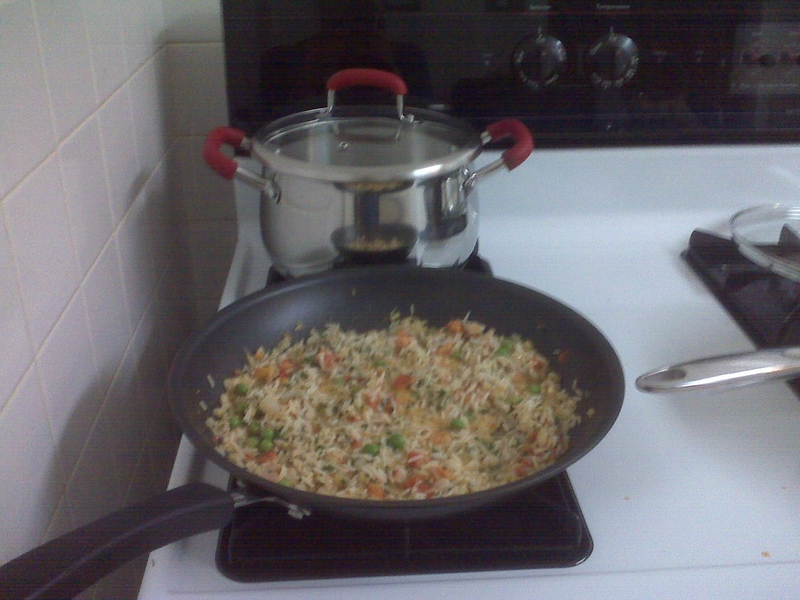 Chantily is a shiny stainless steal 10.5 inch stir-fry pan, similar to her cousin Fred the stainless steel pot. Bertha however, is a hard anodized 12 inch pan. Bertha came with a litter, and we couldn’t seperate them, so we are now the proud owners of 10 inch and 8 inch clones of Bertha, and we couldn’t be prouder! 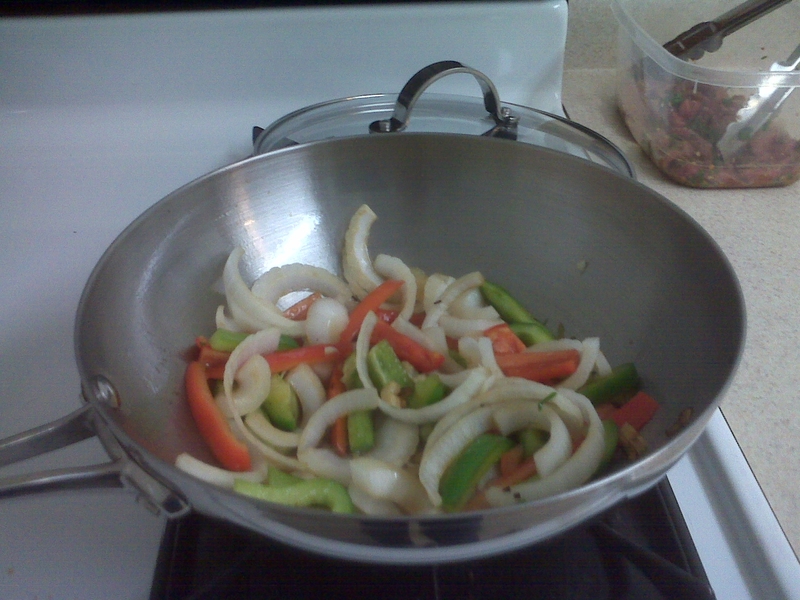 We initiated Bertha & Chantily with a delicious fajita dinner. The difference in the job these guys did, verses our old, scratched up, generic pans, was unbelievable. I am so excited to have my first set of grown-up pans, and can’t wait to see what kind of magic they can produce! Oh yeah, I cannot forget a special thank you to Ryan for making the new pans happen sooner than I expected! They were a special gift for all the great cooking that has been happening lately! 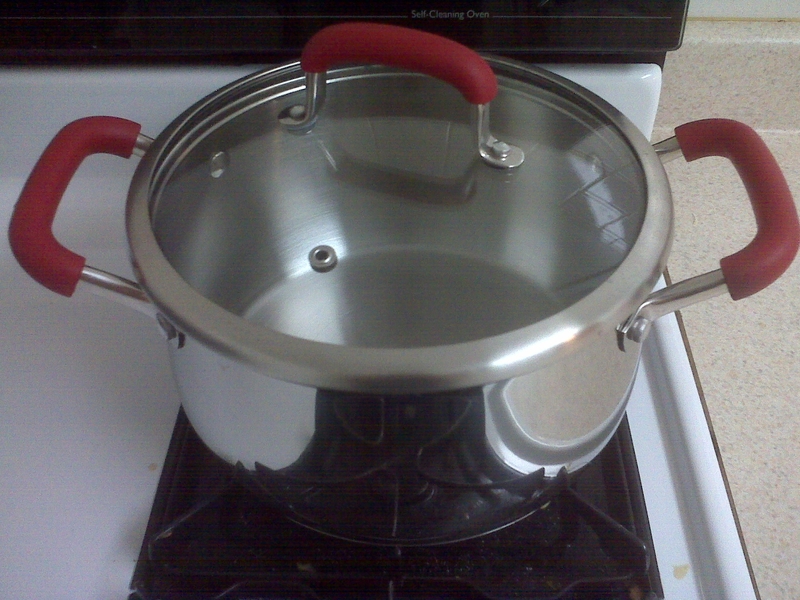 This entry was posted in 101 Blog and tagged 101 in 1001, cookware, hard anodized, pots and pans, stainless steal by reneeh. Bookmark the permalink. There’s almost nothing that isn’t even better topped with capers! But I must admit, I’ve never thought to put them on meatballs. Well, that’s about to change! Pingback: #29: Grow a Vegetable and Eat it! No problemo! « Eat.Live.Blog.